College manage ment is not so supportive ...Different different rules each n every day are issued which is a problem for the students ..Otherwise it is okay . SDPS Women’s College, Indore is a college completely dedicated to empower women through education. It is an ISO – 9001: 2008 certified institute. It offers a broad range of professional degrees to ensure that the students can choose a course of their choice. The campus’ aim is to provide excellent career opportunities for women by offering professional education and making them realise the importance of self – dependence. For the institute, quality is what that matters. Thus, the Institute provides overall development and proper guidance for the students for a bright future. Why join SDPS Women’s College? Tommy Hilfiger, Gap Inc., Blackberrys, the Future group, Pratibha Syntex, and many other famous companies and government organisations are key recruiters here. The campus has a total of 14 faculty members out of which 6 are visiting faculty. The faculty is highly qualified and with a faculty: student ratio of 1: 12.9 can provide better one – to – one guidance to students. The campus is spread over a large area and since, it is situated outside of the city, the students are provided a fresh and more natural environment. The campus provides the students a feeling of confidence and completeness, which is not present in every other institute. Lecture halls with an area of 686.4 sq ft can accommodate 60 students at a time. They are well furnished and equipped with overhead projectors to assist the lecturers and also make the lectures more interesting. The Air cooled classrooms with audio-visual aids and well-maintained furniture remove any discomfort during their study. 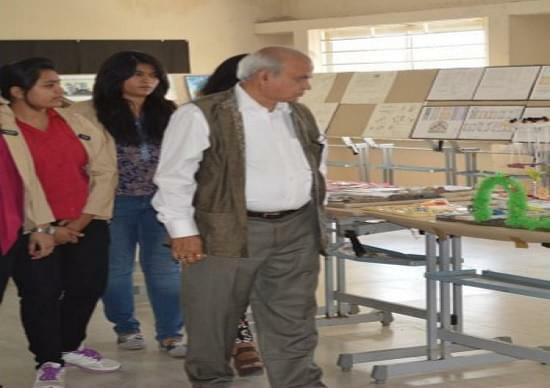 What is the fees of sdps women's college indore for architecture per year.? Hi Sadaf, To get fee details for the b,arch you may contact to 0731-2877587 , 2877588. Hi Jahnavee, Yes, this College provide B.Arch course, and it is based on the NATA Entrance test not JEE MAINS. Hi Shraddha, Yes, this College provide B.Arch course for the students, and it is based on the NATA Entrance test.